with this email we would like to invite you to meet us in Bilbao in few months! Also, do not forget to renew your membership 2019 by half May, so that we can present the correct list of members to the AGM. You must write and sign a document in which you express that another EFRJ member will vote on your behalf. On this document, you must state the following: "I, your full name, authorise full name of the person/organisation to which you give your proxy vote to vote on my behalf at the 2019 Annual General Meeting to be held in Bilbao (Spain) on 4 June 2019. Date, place, your signature"
It is important that members with full voting rights participate (also via proxy) since this AGM will be used to make some important changes concerning our membership. 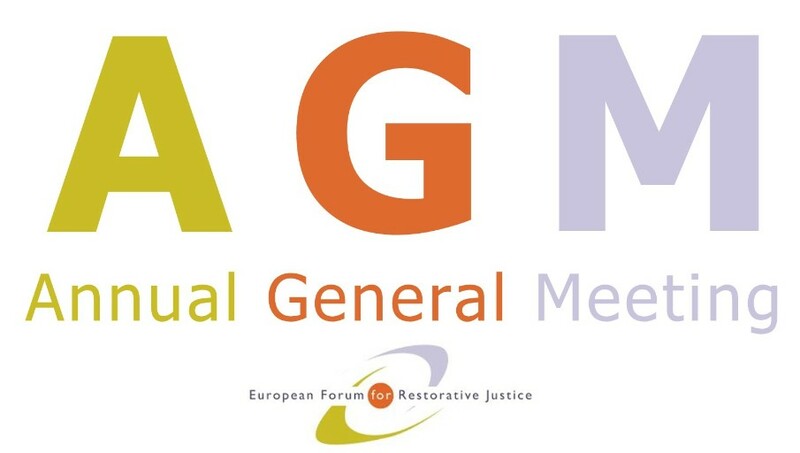 Please consult the membership directory in case you need to contact another EFRJ member to support your proposal for the agenda, or to vote on your behalf via proxy. Do not forget to check your contact details and inform the Secretariat in case of changes or mistakes. Some weeks ago we sent you a list of EU funded calls relevant for our field: if you plan to be a project coordinator, or if you wish to participate in a project as a partner, please contact us and tell us which calls and topics are interesting for your organisation. Click here to read the full email. The Symposium in Bilbao is not the only event where you can meet us before the Summer! The 8th EFRJ Summer School (Gdansk, 22-26 July) on child-friendly RJ is almost fully booked and we recently opened registrations for the 3rd Criminal Justice Summer Course focusing on polarised societies (Barcelona, 2-5 July). Click here to see our upcoming events. In case you missed it, we announced a save the date for the EFRJ 11th international Conference (Sassari, 25-27 June 2020). Click here to see more news from the EFRJ and follow us on social media. Please do not hesitate to contact us if you have further questions. We are looking forward to seeing you all in Bilbao! Copyright © 2019 European Forum for Restorative Justice, All rights reserved. You are receiving this email because your are a member of the EFRJ.